Remember when I savagely attacked my mourning bonnet? 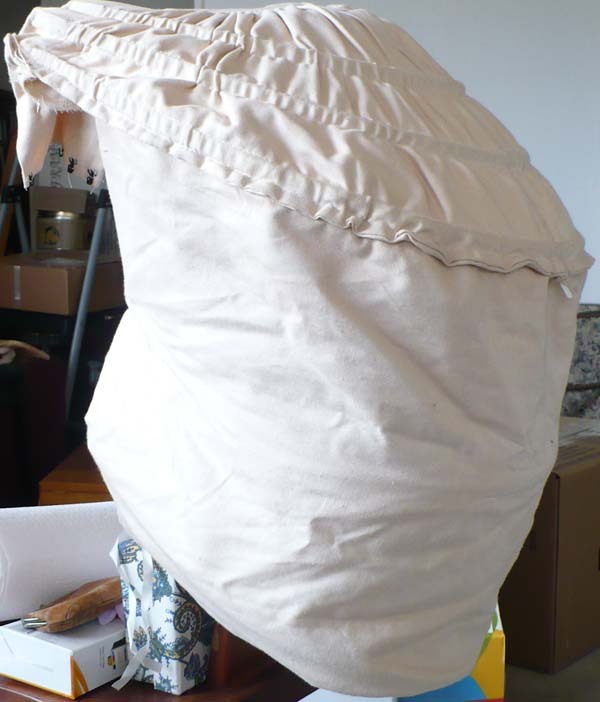 I’ve been at it again, this time with a bustle. I made it in a blind rush, with no pattern or research, just two days before debuting a rather loosely historical 1870s ballgown at a dinner party based on Edith Wharton’s Age of Innocence. Realizing that I didn’t care if I ever saw the wretched thing again, I decided to chuck it. But not before rescuing the high-quality hoop steel (I splurged at Farthingales that year). 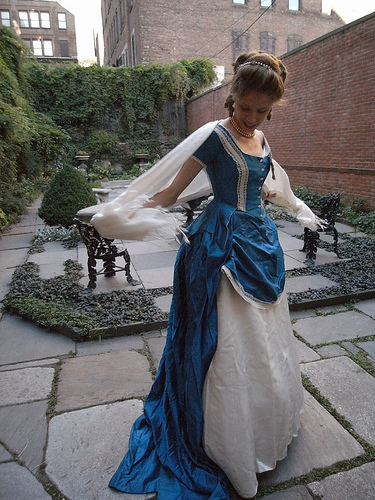 In case you were curious, here’s the completed dress in a variety of settings, namely India House, Delmonico’s Restaurant (by which time I’d lowered the gathering on the skirt to drape better over the bustle), and the garden of the Merchant’s House Museum. I’ve also worn it to McSorely’s Old Ale House, but I don’t care to share those pictures.